Unfortunately, insects and butterflies creep my husband out. 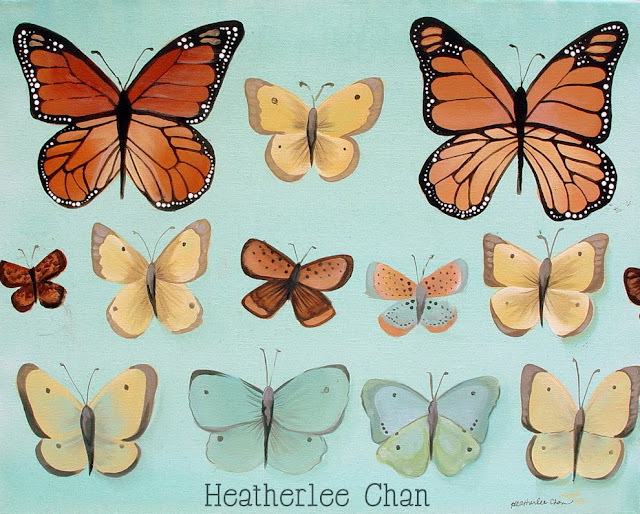 Therefore, the butterfly painting remains in the garage over my work area (that I never work at because it is too HOT! ).